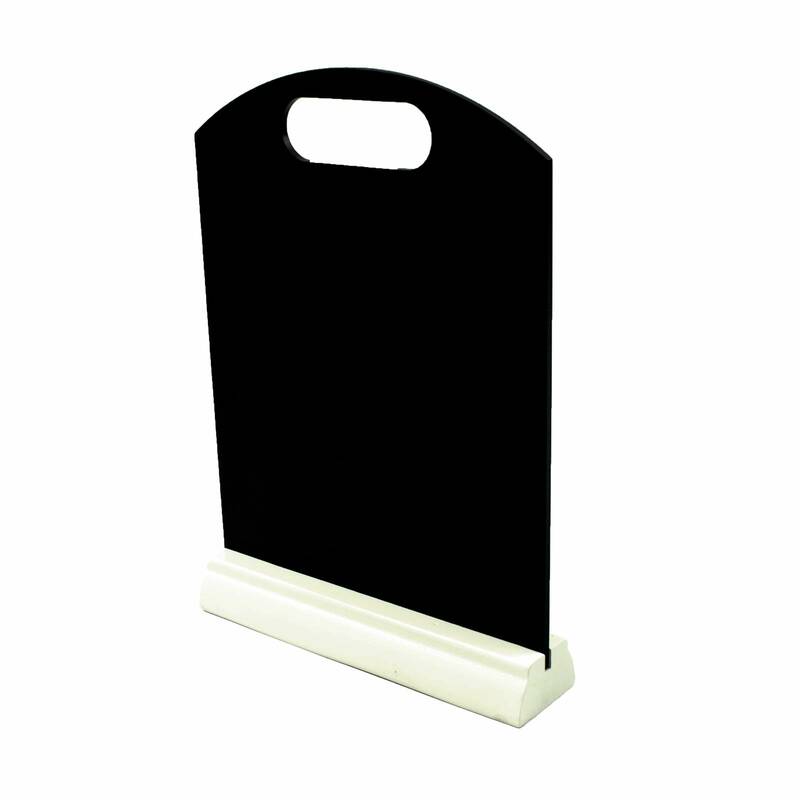 Double sided table top A4 Chalkboard white wood base. Chalk not included. Chalk Pens not recommended. Base comes separate from board, so adhesive can be used to secure (not included). 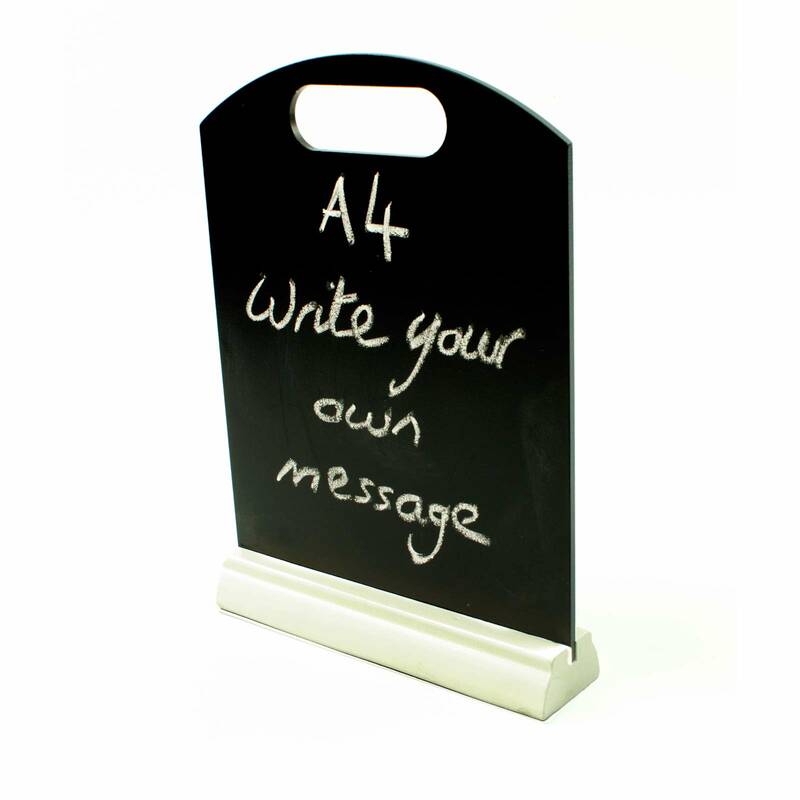 Total Height: 299mm / 11.75"
Total Width: 210mm / 8.25"
Total Depth: 50mm / 2"
Chalkboard Height: 277mm / 11"
Chalkboard Width: 210mm / 8.25"
Chalkboard Depth: 5mm / 0.25"
Base Height: 30mm / 1.25"
Base Width: 210mm / 8.25"
Base Depth: 49mm / 2"